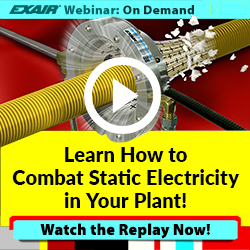 On November 2, 2017 at 2 PM EDT, EXAIR Corporation will be hosting a FREE webinar titled “Optimizing Your Compressed Air System In 6 Simple Steps”. During this short presentation, we will explain the average cost of compressed air and why it’s important to evaluate the current system. Compressed air can be expensive to produce and in many cases the compressor is the largest energy user in a plant, accounting for up to 1/3 of the total energy operating costs. In industrial settings, compressed air is often referred to as a “fourth utility” next to water, gas and electric. Next we will show how artificial demand, through operating pressure and leaks, can account for roughly 30% of the air being lost in a system, negatively affecting a company’s bottom line. We will provide examples on how to estimate the amount of leakage in a system and ways to track the demand from point-of-use devices, to help identify areas where improvements can be made. To close, we will demonstrate how following six simple steps can save you money by reducing compressed air use, increasing safety and making your process more efficient. 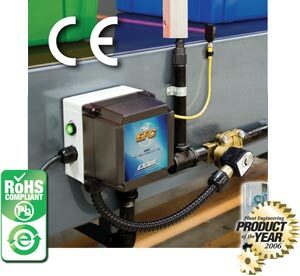 EXAIR’s Electronic Flow Controller (EFC) is a stand alone timing and control product for compressed air. The EFC combines a photo electric sensor, solenoid, and timing control to turn off compressed air, when a part is not present. The timing control comes with 8 different settings for delaying the opening of valve, delaying the closing of the valve, setting an interval, continuously operating or some combination of these settings. This flexibility makes it a great option for someone who is looking to control any compressed air device to conserve compressed air. 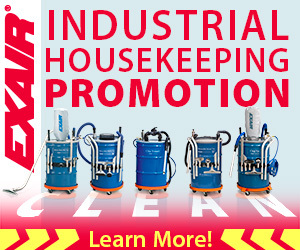 It is a great option for a company that is implementing the Six Steps to Optimizing your Compressed Air System. The EFC is designed to implement the 4th step – turning compressed air off when it is not in use. The EFC is certainly valuable when controlling EXAIR’s Long Super Air Knife. Here is an example: An automotive company blows off a 55″ tall body panel. A 60 inch Super Air Knife will use 174 SCFM of compressed air at 80 PSIG of inlet pressure. The body panels come by at a rate of two parts every minute, but each body panel is only in the air stream of the air knife for 20 seconds. This means for 20 seconds of every minute the air knife is running without doing any work. To stop wasting compressed air an EFC can be setup to open the solenoid for 20 seconds after the body panel passes the photoelectric sensor. This will save one third of the 174 SCFM or 58 SCFM. Typical industrial cost of compressed air is $0.25 per 1,000 SCF. This automotive plant runs 24 hours per day. The EFC would save 83,520 SCF of compressed air over 24 hours, which costs the automotive company $20.88. Over 250 working days in a year the EFC will save $5,220. This is huge savings for simple fast installation that can be installed in any intermittent compressed air application. The EFC is a great solution for controlling your compressed air usage. The ROI for the EFC can be huge depending on the size of your compressed air usage, but in all cases, it is a key step to developing a efficient compressed air system. Over the past handful of blog posts I have blogged about topics like understanding the demand on your compressor, creating a system pressure profile, and the effectiveness of filtering your compressed air. These are all critical steps in ensuring your compressed air system is optimized for maximum efficiency. 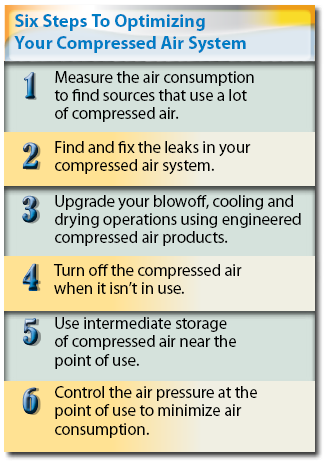 These can also all fall into place with our Six Steps To Compressed Air Optimization. Another factor in the six steps is identifying and addressing leaks within your system. Finding leaks in your compressed air system can be done several ways, one of the oldest methods is to use a soap and water mixture to spray on every joint and see if there is a leak that causes bubbles. The next method would be to use ball valves and pressure gauges to test each run of pipe to ensure they are holding their pressure over a period of time, similar to a leak down test. The final method, and by far the easiest, would be to utilize our Ultrasonic Leak Detector. This can be used to sense leaks in compressed air systems up to 20′ away and can also pin point a leak by closely monitoring each joint. Neal Raker made a great video on how to use the Ultrasonic Leak Detector a while back and it is shown below. If you have any questions on how to find leaks or how to optimize your compressed air system, give us a call. The Six Steps To Optimizing Your Compressed air System are all based from the demand side of your compressed air system. These all lead to saving money by reducing the energy demanded from your supply side of the system. The first step in understanding your demand side is to figure out how much compressed air is currently asked for and why are you asking the supply side for that air. This will allow you to gather information on where the savings are possible in order to make educated adjustments within your compressed air system. One note to add is that you can break the demand column into several different columns in case you have a variable demand location, such as a Non-Hazardous Purge Cabinet Cooler System where there is always a slight demand, but then there is a short burst peak demand when the enclosure needs to be cooled. Once you have all of the point of use devices mapped out and charted on your Usage Chart, you can then begin to look at the areas you have for improvement. For example, if you only have one location that needs a 5 psig higher pressure than everything else in the plant, that would be an ideal location to look at why you need the higher pressure. If you can reduce your system pressure by 5 psig then you will save on average, 2.5% of the electricity used to drive your compressor. If you see that you have a few areas with similar point of use devices but the usage is higher, then that is a prime location to start inspecting for leaks, a tool like the Ultrasonic Leak Detector makes this part easier than using soapy water to spray down each joint in a pipe. On the same note, if you are able to reduce your system pressure by 5 psig then that is also going to reduce the amount of leakage throughout the system. In order to determine what the usage of each point of use device can also easily be viewed and even recorded using one of our Digital Flowmeters w/ Summing Remote Display and Data Logger. This device is offered in a range of sizes 1/2″ to 6″ iron pipe or copper pipe. If you want to take the first step in optimizing your compressed air system and ensure that you are saving as much air as possible while compressing the least amount demanded by your system then feel free to contact us. The past several weeks I have been finding myself doing things the more complicated way (I know how that sounds odd – an engineer that prefers to do things the hard way). Over the weekend I took a brief ride on the motorcycle for a short 15 minute trip that I found to be satisfying, even if it is less direct and a more out-of-the-way route for getting my errands complete. The route runs past the local university of Mount Saint Joseph, down a winding road that has no houses and only one business, the rest is all woods and a creek. Finally, this route runs along the mighty Ohio river and back up a steep winding road near my house. While I have been worrying about all the projects and errands which need to be completed, this more complicated route gives me a moment to decompress and remember that my family at home and few other things are all I need. Once I was reminded of that and got some perspective which allowed me to “keep calm and carry on” I proceeded to break my projects and errands down into smaller pieces and everything will start to come together. I now have a to do list at home as well as a refreshed list at EXAIR of all the items I need to do. 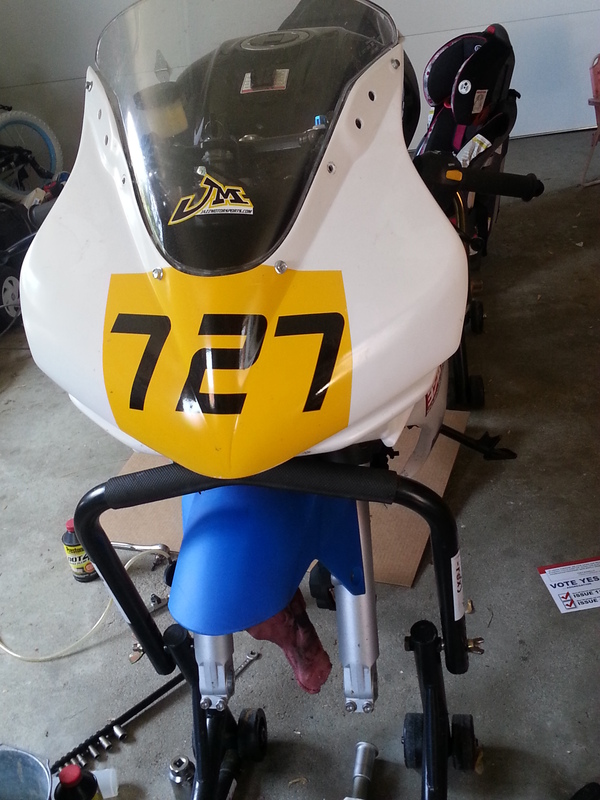 The list at home is considerably more fun as it all involves getting my “new to me” track bike ready for this season. That’s right, it’s right around the corner, the first track weekend of 2014. So expect to see some more motorcycle blogs coming and hopefully more ways to use EXAIR products while working on them. It was these newly developed lists that helped me reorganize and get back on track for the new season, sometimes a list is necessary in order to gain perspective, prioritize and begin to take action. On that note, EXAIR has a list to help you gain perspective, prioritize and take some action toward getting your compressed air system optimized. Our systematic approach using the Six Steps To Compressed Air Optimization has been developed to help you save your compressed air,your hearing, and your money. By following these steps you can lower your compressed air use, minimize workplace noise exposure (OSHA will be happy) and save money on this important utility. If you have ever thought of reducing your compressed air costs, use our list to help you gain perspective on this simple process and take some positive steps toward saving your facility some money.